21/11/2018 From 27 November till 13 December, buses will replace trams from Helensvale to University Hospital stations from 8pm till last service. Buses will be running from the Light Rail Replacement Bus Stop located on the area maps on the station platform. As part of delivering Queensland’s first contemporary light rail system, we have been partnering with local schools and tertiary institutions to deliver an innovative Schools and Education program called Love Learning. Love Learning aims to maximise opportunities for local industry and workers through the engagement of local schools, colleges, universities and TAFEs to promote knowledge transfer, innovation and enhance local skills through partnerships and work experience. The campaign was officially launched by the Minister for Education, Training and Employment, the Honourable John Paul Langbroek MP on Friday 21 September 2012 at Southport State School. The program demonstrates that major infrastructure projects can deliver education and training opportunities that lead to improved participation in employment. To date, the light rail project has partnered with local universities to achieve research projects, TAFE students have helped to design the light rail operations uniform and clothing and hosted school excursions on the light rail corridor. We’ve also provided team members with qualifications in Certificate II Rail Construction, Certificate III Civil, Certificate III Rail Driving and certificates and Diplomas in Project Management as part of the project’s commitment to upskilling the Gold Coast. 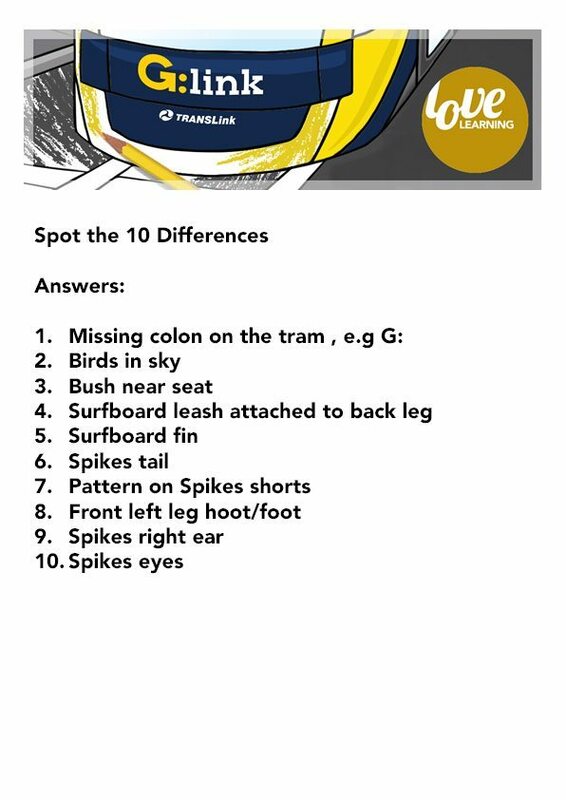 On 6 September 2013 the Gold Coast light rail project, with the support of three Gold Coast schools, launched a school-based resource video suite on YouTube called the Gold Coast Light Rail Science Tram. The web-episodes provide real life science and engineering scenarios for students focusing on the light rail. They are a unique example of the innovation and partnership between local industries and schools to develop material on everyday examples of science. Students are able to learn about a range of interesting parts of the light rail project from the Gold Coast’s favourite Osprey pair that live near the light rail corridor, what the project is doing to protect special ecosystems, right through to how the light rail is powered. G:link continues to partner with various schools and tertiary institutions around the Gold Coast region as it delivers Love Learning through school tours, assembly presentations and curriculum opportunities. If you or your educational institution would be interested in participating in Love Learning, contact our Customer Service team via customerservice@ridetheg.com.au or 1800 064 928.